A Newborn Addition to a Lovely Family! 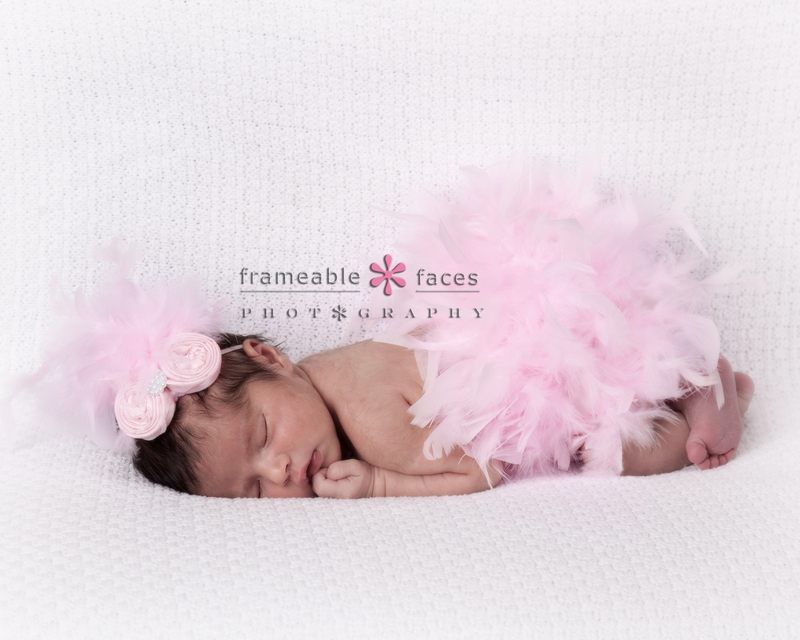 You should’ve heard the excitement when we got the call to photograph this sweet newborn! 10 days old at the session and she was pure sugar! Sweet, smushy and very cuddly! 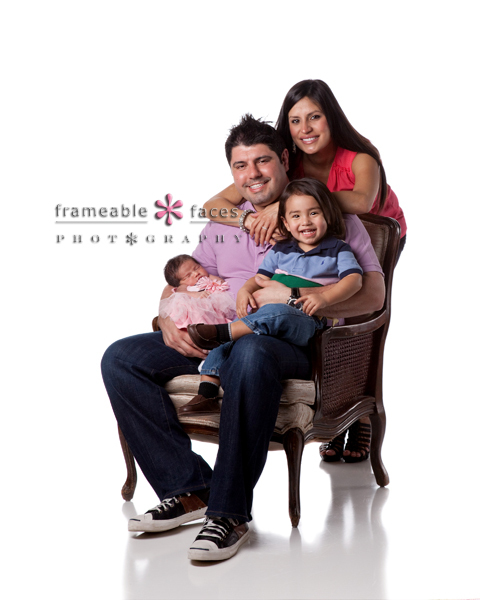 Baby “S” came into the studio with her her dashingly handsome dad, her exquisite mom and her adorable big brother. Put them together and what a beautiful family!!! 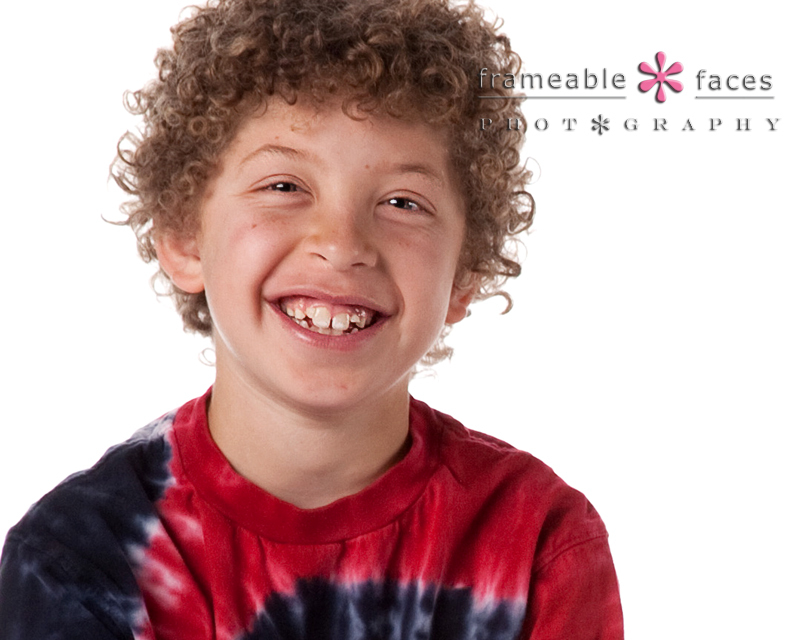 We had to so some coaxing to get these amazing smiles from big brother, L, but when we “popped” the flash, we got some fabulous smiles out of that little boy! Don’t you just want to jump right into that photo and just squeeze his little face?!?! 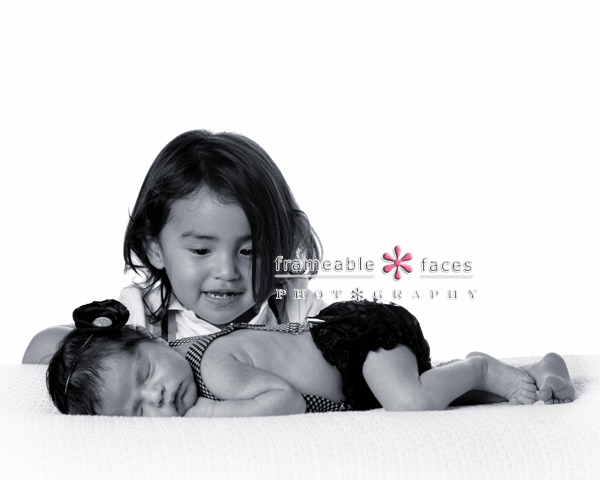 After we captured the newest family photos, little Miss S got her very own turn in the spotlight. What a little love she was! She let us change her clothes, move her around and barely woke up for it. There’s just something some amazing and wondrous about a sleeping newborn baby. Little lips, little nose, little finger and little toes. Ally was swooning!!!! It’s families like this that make our job not really a job. We are so lucky and so blessed! 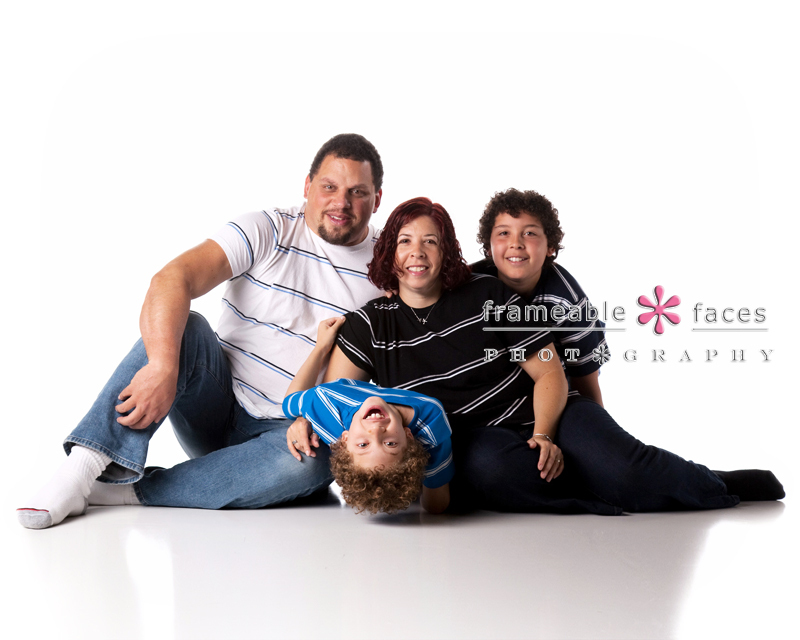 “A” For Absolute Frameable Family Photo Fun! You already know how much fun we have in the studio. 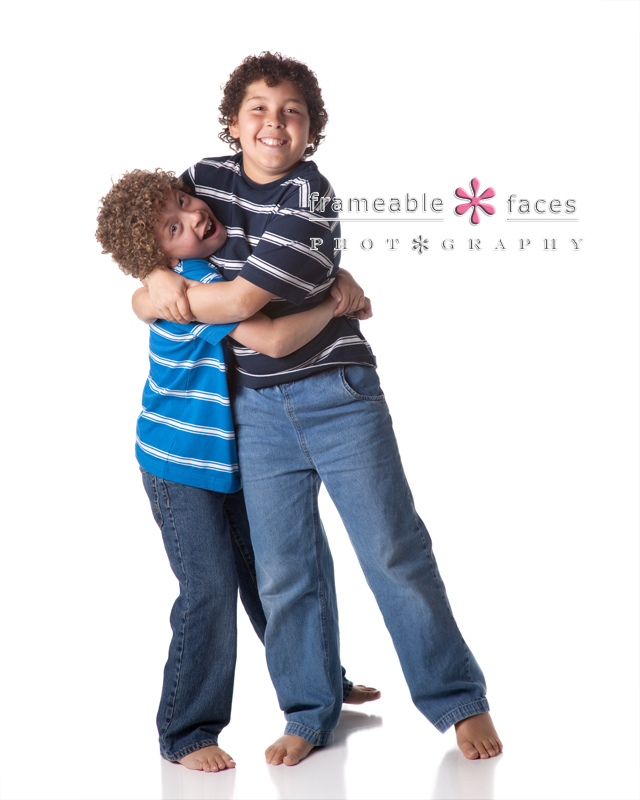 And if you haven’t ever had a session with us, you can probably tell by looking at our images how much fun they look. But when we have a family in here that can make US laugh….that’s when the real fun begins. This is the the “A” family. From the moment they came in to the studio, the boys were all about F-U-N! M is all about being the big brother. It was so much fun to watch him interact with D. D is a typical little brother. So funny, keeping the family (and us!) in stitches. 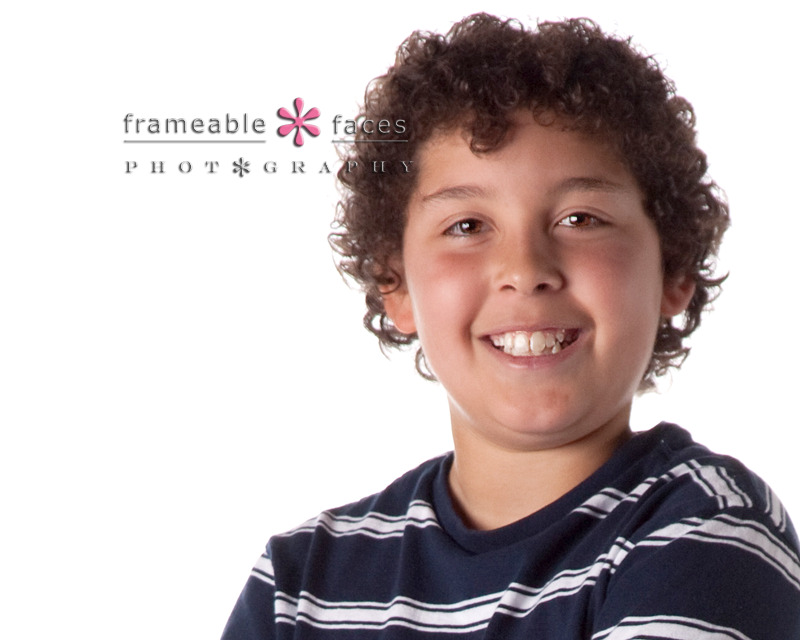 One liners were abundant and we were laughing while we were photographing their entire session. And talk about some talent, too! M brought in his cello (and gave Doug some serious cello envy, since he was a cellist in the Orchestra back in high school). He played the theme from Star Wars and wowed Ally. D is a pretty accomplished lego maniac. You should have seen the pieces from his collection that he brought in! Impressive! J and J, you guys have some pretty amazing boys. We had so much fun with you all! Enjoy your sneak peaks!